Tablets occupy somewhat of a weird space in our technological endeavours. Phones are getting bigger and laptops are getting both lighter and equipped with touchscreens, so what makes tablets unique? 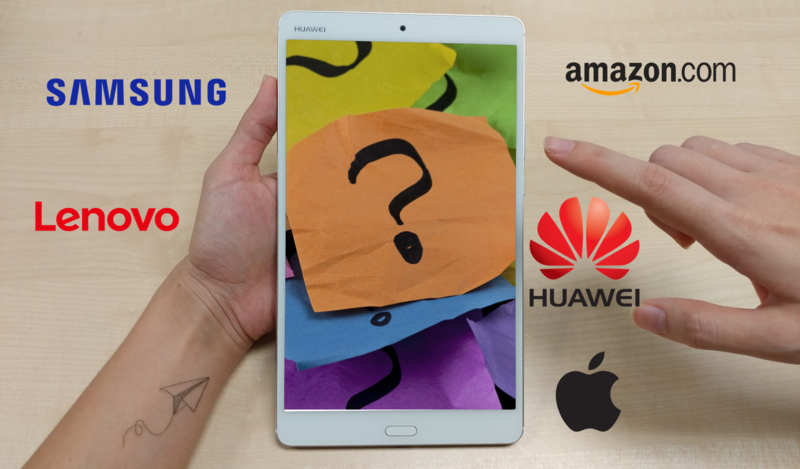 That’s a question Apple and other Android tablet makers will have to get right, with research firm International Data Corporation (IDC) reporting in February that there was a 20.1% decline in global tablet shipments in the fourth quarter of 2016. In the same report, in the list of Top Five Tablet Vendors (Shipments, Market Share, and Growth, Fourth Quarter 2016), Huawei alone showed a 43.5% year-over-year impressive growth! This also means that they have cornered 6% of the market share. Compared to the top three contenders in that table (Apple, -18.8%; Samsung, -11.4% and Amazon.com, -0.6%), Huawei’s tablets clearly have a competitive edge and should be looked out for. Huawei was able to ship 3.2 million units of its tablets out from the period of September to December 2016. A large part of the popularity of their products could be attributed to one of the key flagships, the Huawei Mediapad M3 (read our review here), which was launched in September 2016. Boasting of a 2.5K Display, Harman Kardon Dual Speakers, 5100mAh big capacity battery and phablet abilities since it was able to make calls, its versatility and affordable price point could have helped drive the sales that brought the growth about. These combination of features allowed it to position itself as a prime entertainment tablet particularly for audio-enthusiasts in the market. The Mediapad M3 got to ride on the shoulders of giants by cruising off the waves generated by its predecessor, the Huawei Mediapad M2. As the first flagship tablet from Huawei that offered a WUXGA Display, four Harman Kardon speakers and a 6660mAh battery, its launch was highly lauded because of its 3G and 4G cellular network capability allowing users to make calls. 1. A fruitful expansion to several territories including Asia, Europe, and the Middle East. These markets were a main source of their sales, despite Huawei having very minimal presence in regions like USA. 2. Equipping their tablets with built-in 3G or 4G connectivity, even for the budget offerings. 3. Maintaining design standards. The Huawei Mediapad M3 was one of the five Huawei devices singled out for an iF Design Award at the 2017 iF International Industrial Design Forum. It’s all well and good to read about what they’re doing, but the products should speak for themselves. The Huawei Mediapad M3 is still available in retail stores in either Silver (32GB storage) or Gold (64GB storage). A special offer is also returning from March 24 till April 13: every purchase of any Huawei Mediapad M3 will come along with a free gift combo worth up to RM500 comprising of a Hi-Fi Bluetooth earphone, a leather smart cover and a screen protector. For even more affordability, the Huawei T27 LTE and T27 Pro tablets are now retailing at the discounted price of RM799 and RM999, and come with flip covers as an added bonus. This article was brought to you by Huawei. Find out more about the Huawei Mediapad M3 here.